Oedema is the medical term for fluid retention and it has nothing to do with how much you drink over the festive season! What is true, is that most people do not drink nearly as much as they should or, at any rate, too much of the wrong fluid. Drink water, plenty of it—it’s good for you and it’s (mostly) free. Oedema however, while having nothing to do with fluid intake, has everything to do with malfunctioning organs. 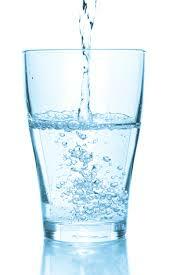 It is almost certainly the result of sluggish kidneys which are not eliminating waste water efficiently. However, the reason why your kidneys are not functioning efficiently could be because of an externally-induced injury, being hit in the back where your kidneys are most vulnerable; or the cause could be internal, either due to prescription drugs or diet deficiency. Severe fluid retention might be a symptom of a disease, in which case a doctor should be consulted. Salt is the most efficient medium in the body’s capacity to retain fluids, so if fluid retention is a problem, salt intake should be kept to a minimum. The condition always appears first in the feet and ankles because that’s where the excess fluid settles. Oedema is common to people who are on their feet a lot, while in women, it might indicate the onset of menstruation. If you’ve ever felt “bloated” just before your period starts, that’s a mild form of oedema. Simple oedema, due to poor drainage, can be treated with diuretic herbs which promote urine secretion in a safe and effective manner, e.g. Bedstraw is a powerful diuretic which can be used to combat inflamed kidneys, bladder and urinary tracts. Horsetail’s tonic action makes it invaluable in the treatment of fluid retention, incontinence and bedwetting in children. It is very rich in silica, a mineral constituent of hair, skin and nails. Birch aids the urinary system by reducing uric acid. Taken on its own, it is also effective in reducing fluid retention. Dead nettle is an excellent herb which has a powerful cleansing effect, ridding the body of unwanted fluids, including phlegm. Golden rod is most useful to counter kidney and bladder complaints, and fluid retention. It has a detergent action on the urinary tract. Parsley is ideal for people having difficulty urinating, a condition which contributes directly to fluid retention. A tea made from the roots or leaves, or a combination, is excellent.